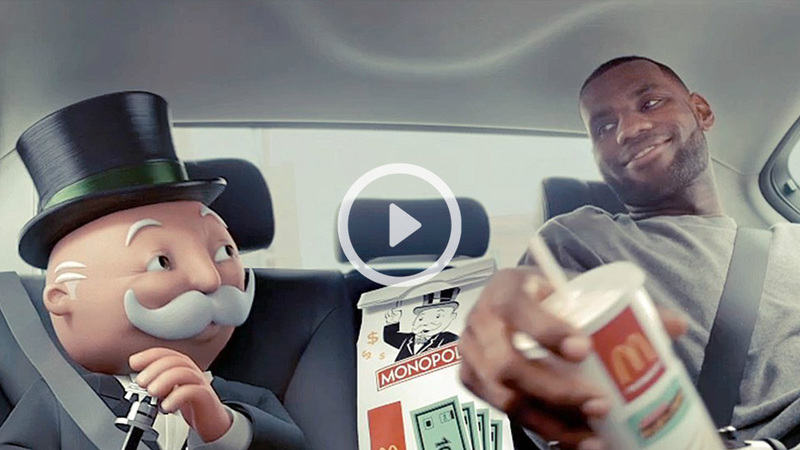 McDonald’s celebrates the return of two legends – LeBron James and Mr Monopoly! We catch them cruising through Cleveland and stopping for a quick bite at McDonald’s. Our team integrated Mr Monopoly into the back of the limo and animated his interaction with LeBron James.